All campus libraries have open computer labs. Check with your instructor, campus or department for hours and locations of other open labs. Computers are also available for student use in hallways and other open areas on-campus during building open hours. ​Most classroom labs have classes scheduled and generally are not available for individual use. To check availability of software and hardware throughout the college and locations of computer labs, call the Technology Services Help Desk at (608) 246-6666. 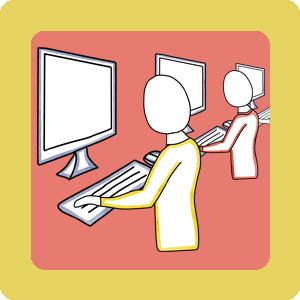 Library staff are available to help you in person, by phone or by email with your technology and computer related questions during library open hours. After hours, leave us a phone message or email, and we will respond as soon as possible during our open hours.